Kick off your visit on the 23rd (Tue): see some colorful creatures with a scuba or snorkeling tour. Get ready for a full day of sightseeing on the next day: relax and rejuvenate at some of the top local wellness centers, learn about wildlife with up-close encounters at Wildlife Habitat Port Douglas, and then enjoy the sand and surf at Palm Cove Beach. To see other places to visit, traveler tips, ratings, and more tourist information, go to the Port Douglas vacation planner . Los Angeles, USA to Port Douglas is an approximately 23-hour combination of flight and shuttle. You can also do a combination of flight, car, and ferry. Due to the time zone difference, you'll lose 18 hours traveling from Los Angeles to Port Douglas. Traveling from Los Angeles in April, things will get somewhat warmer in Port Douglas: highs are around 85°F and lows about 71°F. Finish your sightseeing early on the 24th (Wed) to allow enough time to travel to Perth. Kick off your visit on the 25th (Thu): steep yourself in history at The Perth Mint, enjoy the sand and surf at Cottesloe Beach, and then enjoy the sand and surf at Scarborough Beach. 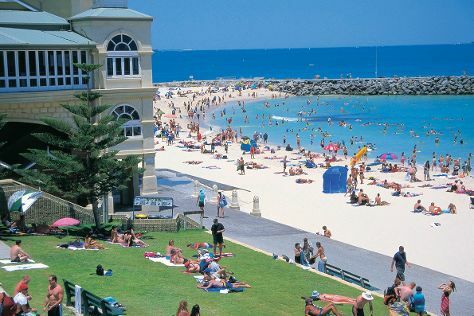 For where to stay, more things to do, other places to visit, and more tourist information, read our Perth online trip itinerary planner . You can do a combination of shuttle and flight from Port Douglas to Perth in 8 hours. Alternatively, you can drive; or do a combination of bus and train. The time zone changes from Australian Eastern Standard Time (Queensland) (AEST) to Australian Western Standard Time (AWST), which is usually a -2 hour difference. Plan for slightly colder temperatures traveling from Port Douglas in April, with highs in Perth at 80°F and lows at 56°F. Wrap up your sightseeing on the 25th (Thu) to allow time to travel to Melbourne. On the 26th (Fri), soar above the sights with a balloon tour, kick back and relax at St. Kilda Beach, and then take in the spiritual surroundings of St Paul's Cathedral. To see where to stay, maps, and tourist information, use the Melbourne trip site . Fly from Perth to Melbourne in 6.5 hours. Alternatively, you can take a train; or drive. Traveling from Perth to Melbourne, you'll lose 2 hours due to the time zone difference. Traveling from Perth in April, expect Melbourne to be a bit cooler, temps between 68°F and 50°F. Cap off your sightseeing on the 26th (Fri) early enough to travel to Sydney. 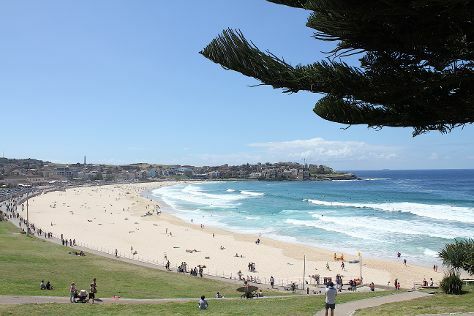 Start off your visit on the 27th (Sat): enjoy the sand and surf at Bondi Beach, then hike along The Opera House to the Botanic Gardens Walk, then see a show at Sydney Opera House, and finally take a stroll through The Rocks. For ratings, photos, traveler tips, and other tourist information, read Sydney sightseeing site . You can fly from Melbourne to Sydney in 3.5 hours. Alternatively, you can do a combination of shuttle and flight; or drive. Plan for somewhat warmer nights when traveling from Melbourne in April since evenings lows in Sydney dip to 59°F. Wrap up your sightseeing on the 27th (Sat) early enough to travel to Gold Coast. 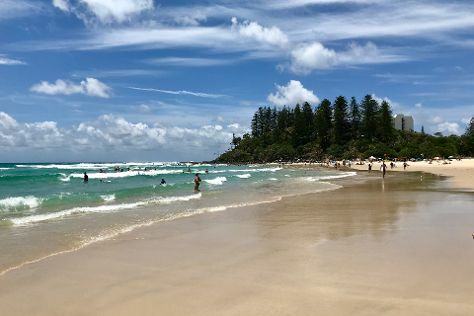 On the 28th (Sun), kick back and relax at Coolangatta Beach, enjoy the sand and surf at Burleigh Heads Beach, and then explore the wealth of natural beauty at Burleigh Head National Park. Plan my trip to Gold Coast with suggested itineraries provided by Inspirock. You can fly from Sydney to Gold Coast in 3.5 hours. Other options are to do a combination of flight and train; or drive. In April in Gold Coast, expect temperatures between 78°F during the day and 62°F at night. Wrap up your sightseeing on the 28th (Sun) to allow time to travel back home.